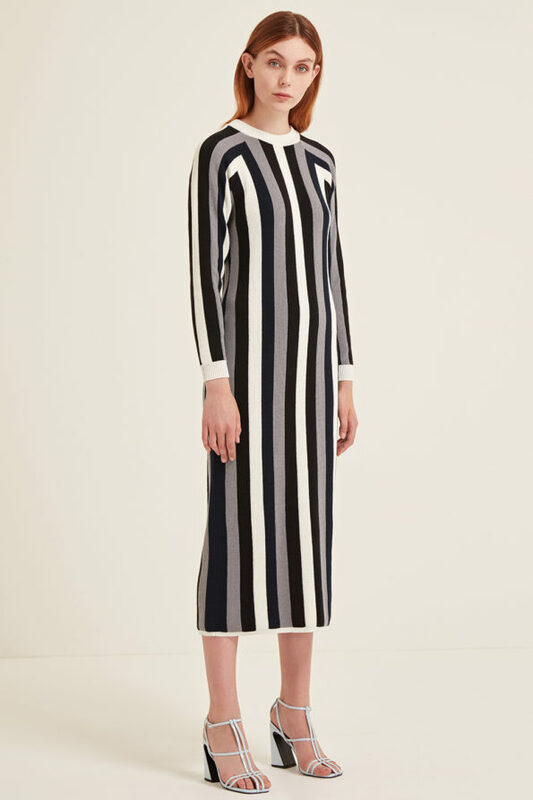 Julia knitted dress has grey/off-white/black stripes. The flattering fit and sporty touch make this dress suitable for everyday life, keeping you warm and stylish. Developed and made in the UK.